Before you start an experiment, it is important that the TEM is well aligned. 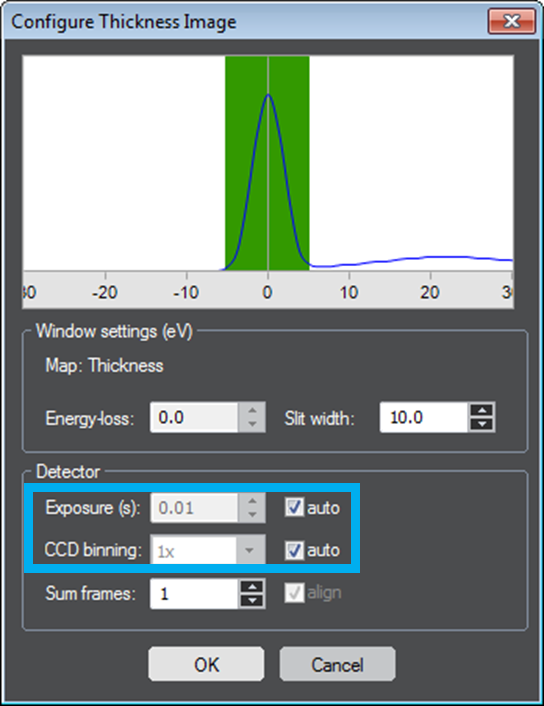 The emitter, condenser and optic axis adjustments typical for your TEM type should be performed. 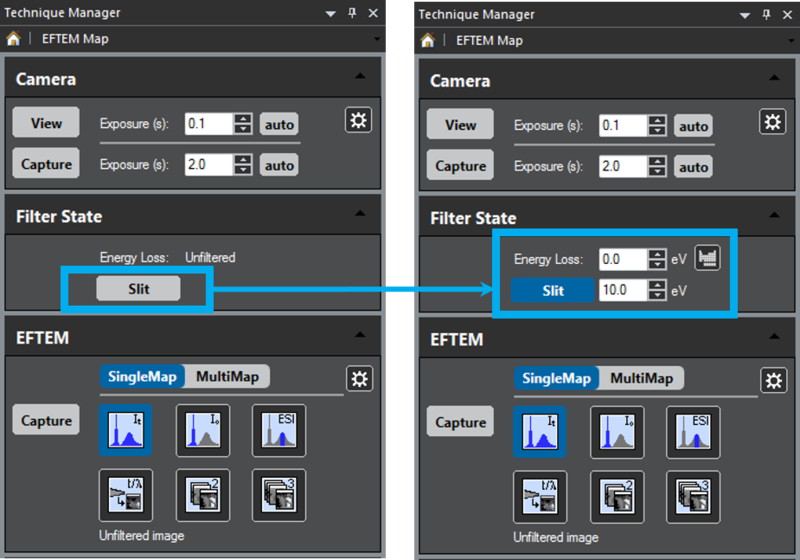 This will help maximize image brightness and minimize lens aberrations. 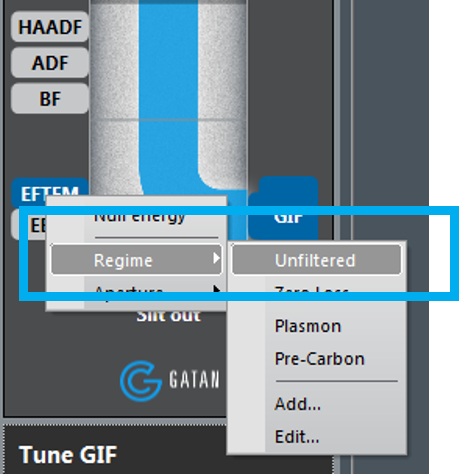 Note: It is often useful to locate the GIF field to view relative to the screen center. Identify a prominent feature in the sample on the GIF camera, then lower the viewing screen. Make a note of the position of the feature relative to the screen center. 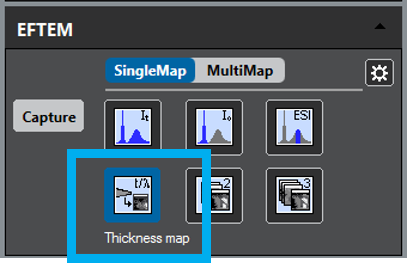 Double click on the GIF camera icon within the Microscope System palette to start the camera view or select View from the Camera palette in the Techniques Manager. Or check the Insert Slit box.